The Des Moines Community Playhouse presents the new musical Ella Enchanted, Apr. 26-May 19, 2019. 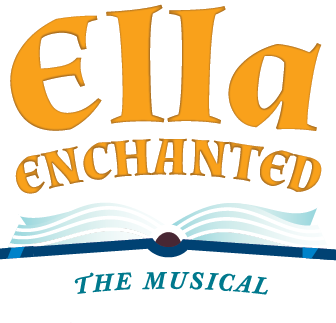 Tickets may be purchased online at dmplayhouse.com, by phone at 515-277-6261, or at the Playhouse ticket office, 831 42nd St. Ella Enchanted is sponsored by Nationwide. Ella was given the “gift” of obedience as a baby by her wacky fairy godmother, Lucinda. As she grows into a teenager, Ella realizes how dangerous her curse of obedience could be. Trying to find a way to break the spell, Ella encounters an evil stepmother and her two unpleasant daughters who take horrible advantage of the curse. Despite this, Ella saves Prince Char and his knights from an ogre, leading to a lasting friendship between the two. Don’t miss this girl-power spin on the Cinderella story that’s a fairy tale like no other. The Playhouse cast is directed by John W. Viars with music direction by Brenton Brown and choreography by Erin Besser. The cast includes Malibu Brown, Demarius Fisher, Kori Glenn, Melanie Hall, Allyson Martens, Don Rothweiler, and Maia Talarico. For more information about the Playhouse and Ella Enchanted, contact the Playhouse ticket office at 515-277-6261. Allyson Martens is the title character in Ella Enchanted, Apr. 26-May 19, 2019, at the Des Moines Community Playhouse. Photo by Steve Gibbons. Ella (Allyson Martens) with her wacky fairy godmother, Lucinda (Melanie Hall), in Ella Enchanted, Apr. 26-May 19, 2019, at the Des Moines Community Playhouse. Photo by Steve Gibbons. Ella (Allyson Martens) with Prince Char (Demarius Fisher) in Ella Enchanted, Apr. 26-May 19, 2019, at the Des Moines Community Playhouse. Photo by Steve Gibbons. The Steward (Don Rothweiler) and Prince Char (Demarius Fisher) ponder the significance of a shoe in Ella Enchanted, Apr. 26-May 19, 2019, at the Des Moines Community Playhouse. Photo by Steve Gibbons.